6 dof humanoid robot video below, 8 dof humanoid robot motion with similar, only upper limb movements more. Robot legs have four joints, arm has four joints, is the enhanced version 6 dof humanoid robot, this makes the upper limb movements more fluid. 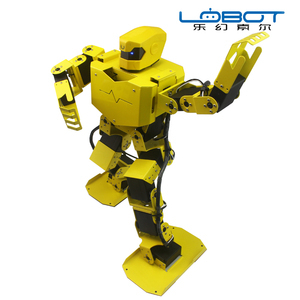 U have some space between beam and the controller, you can install your own sensors, robot obstacle avoidance, and other functions. Trade Assurance Features 1. Watch Control Gesture Induction Walking Features 2 . (If asking for sample, extra fee will be charged but being withdrawn after placing an order. 2.Can I get samples9 Can I place a trial order9 ---Yes, cost will be on buyer's side. Ye. 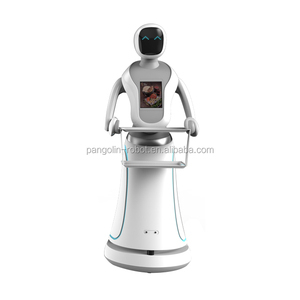 Qianhai JSYA (Shenzhen) Technology Co., Ltd.
Alibaba.com offers 2,538 humanoid robot products. About 29% of these are toy robots, 19% are other machinery & industry equipment, and 10% are radio control toys. 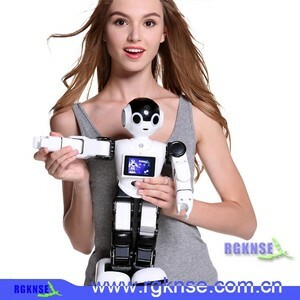 A wide variety of humanoid robot options are available to you, such as battery operated toy, electronic toy, and diy toy. You can also choose from plastic, metal, and rubber. As well as from abs, pc, and pvc. And whether humanoid robot is 1:10, 1:5, or 1:16. 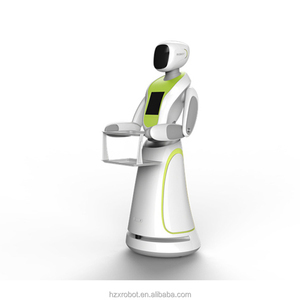 There are 2,555 humanoid robot suppliers, mainly located in Asia. The top supplying countries are China (Mainland), Taiwan, and India, which supply 99%, 1%, and 1% of humanoid robot respectively.